Cat meets cat? 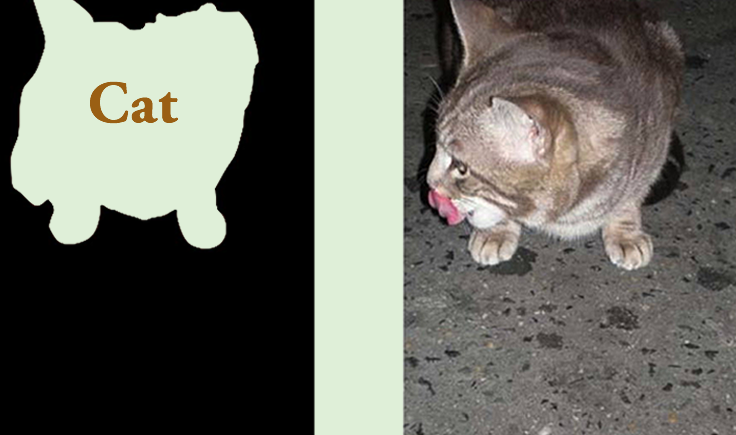 The left image shows what part of the right image that is covered by a cat as identified by a computer. Workshop on academy-society collaboration on artificial intelligence and machine learning. 12.30 Mingle, exhibition, posters, workshops, demos etc.